It’s been a hot summer, so if you’re like us, you’ve been eating a lot of popsicles – which means you probably have a lot of popsicle sticks hanging around. Nick Offerman (Parks & Recreation) has an idea for what to do with them. 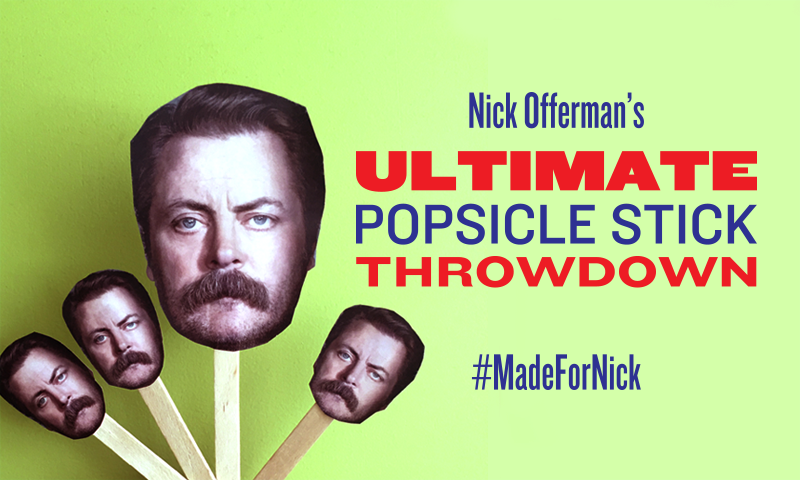 In addition to being a very funny actor, Nick’s also a master woodworker – and he wants you to build something with all those popsicle sticks. Deadline: October 5 at 11:59pm ET. How to Enter: Take a picture of your masterpiece and share it on Twitter or Instagram with the hashtag #MadeForNick, or upload it above. Nick will be back on the show in October to pick a winner. Vote for your favorites and share your entry with your friend.